Cross Country and Tennis Have Strong Postseason Finishes! Final notes on the fall season, in which we had some great finishes! 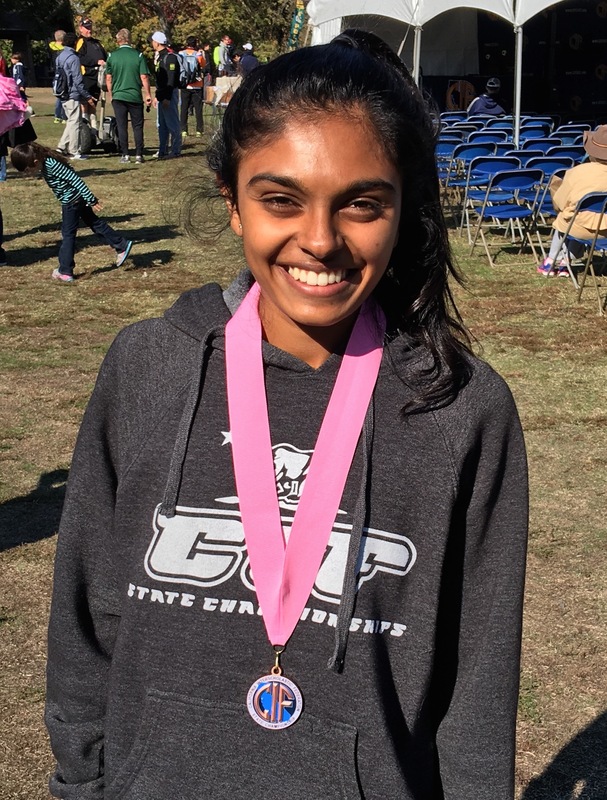 Congratulations to junior Niki Iyer on her fifth place finish at the state cross country meet, held over the Thanksgiving break. Iyer competed with 191 other runners in the Division 4 championships held in Fresno, and shaved 30 seconds off last year’s fifth place finish. She will race next at the Footlocker High School West Regional on Saturday at Mt. San Antonio College in Walnut. Lizzie Schick, grade 10, and Pam Duke, grade 9, were the last Harker team alive in the fall playoffs as they took the court on Tuesday at the Bay Club Courtside to face the duo from Menlo-Atherton High School. They won a highly contested three games, 6-2, 4-6, 6-1, to become the first Harker doubles tennis team in school history to make the CCS finals. Lizzie and Pam fought hard, but lost to a very strong Los Altos duo. Congratulations on an amazing season!